MSC Cruises recently announce a new partnership with Cirque du Soleil, the famed acrobatic entertainment troupe. This marks the latest in a series of exciting partnerships that also includes the LEGO Group. This exclusive partnership between MSC Cruises and Cirque du Soleil will premier aboard the upcoming MSC Meraviglia, which debuts in July 2017. MSC Cruises worked directly with Cirque du Soleil to design a unique Entertainment Lounge aboard the MSC Meraviglia; one that would allow for all the breathtaking stunts and acrobatics that turned Cirque du Soleil into a household name. Guests will also be able to dine and enjoy cocktails while attending shows at the 10,700-square-foot Entertainment Lounge. Aboard the MSC Meraviglia, as well as on her three sister ships that will debut between 2019 and 2022, Cirque du Soleil will present six intimate evening performances per week, alternating between two shows designed exclusively for MSC Cruises. To experience this partnership aboard the MSC Meraviglia, contact The Cruise Web’s expert consultants today at 1-800-377-9383, or complete our electronic information request form. Thanks for replying to our topic. You can always contact me directly at 1.800.377.9383 ext. 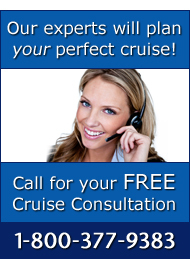 289 or jacquesb@cruiseweb.com to ensure you get the very best deal for you and your family! Rest assured most cruise lines have reduced rates for third and fourth passengers sharing the same cabin. There are some great kids sail free promotions going on right now that you may want to take advantage of. Hope to hear from you soon and make this cruise a reality!